Due to safety concerns and flooding at Bishop Park and surrounding areas, BINGO IN BRYANT will be POSTPONED until next Thursday, April 25th! Come out the same time and place for a fun evening! Tickets will still be good for next week and we will continue to sell them next week. We appreciate your understanding. Our top priority is the safety of our attendees, community members and our volunteers! 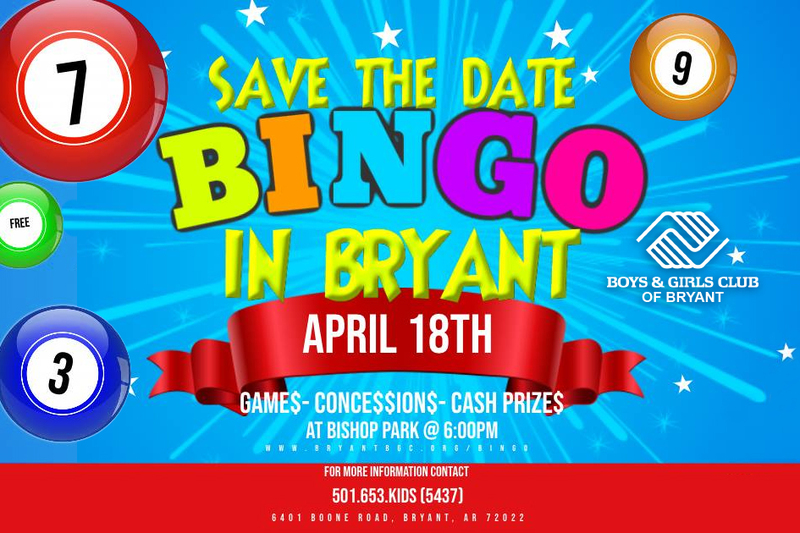 Show up feeling lucky on Thursday, April 18th to Bishop Park as the Boys & Girls Club of Bryant hosts Bingo. This event is a benefit for the Club, located at 6401 Boone Road in Bryant. The night will begin at 6 p.m. and includes over $4,000 in cash prizes. Tickets are $20 in advance or $25 at the door. Includes one card each for games 1-16. Additional cards can be purchased for $1.00 each. You may purchase bonus round games 17-20 for an additional charge of $2 per card. Get your tickets online at this link. Childcare will be available for ages 3 and up for a donation to the Boys & Girls Club of Bryant. *DUE TO ARKANSAS STATE LAWS: No one under 18 years of age will be eligible to participate and will not be admitted. 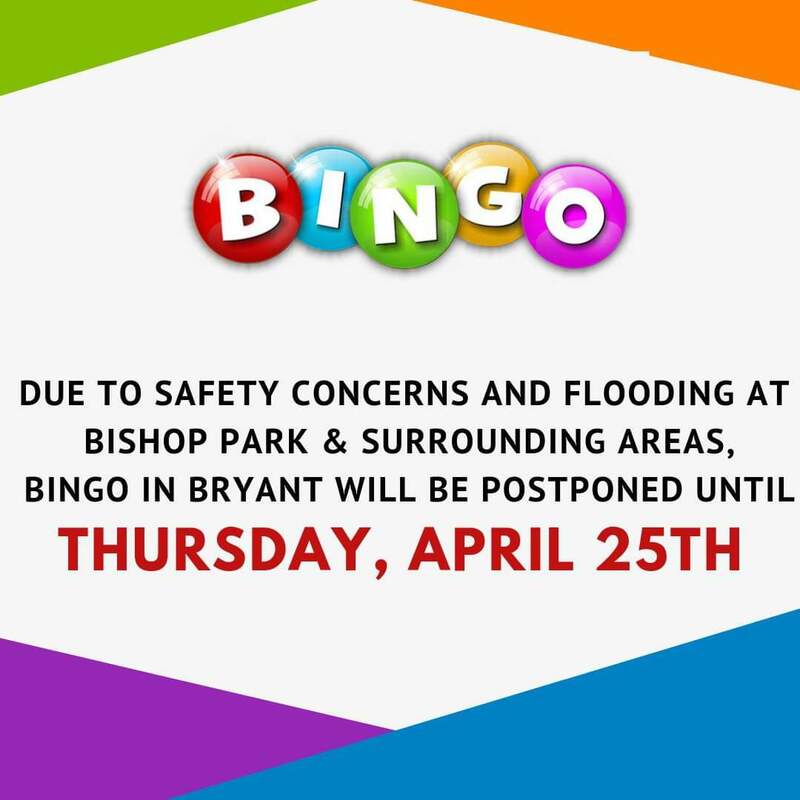 For more information, call 501-653-5437 or visit www.bryantbgc.org/bingo.